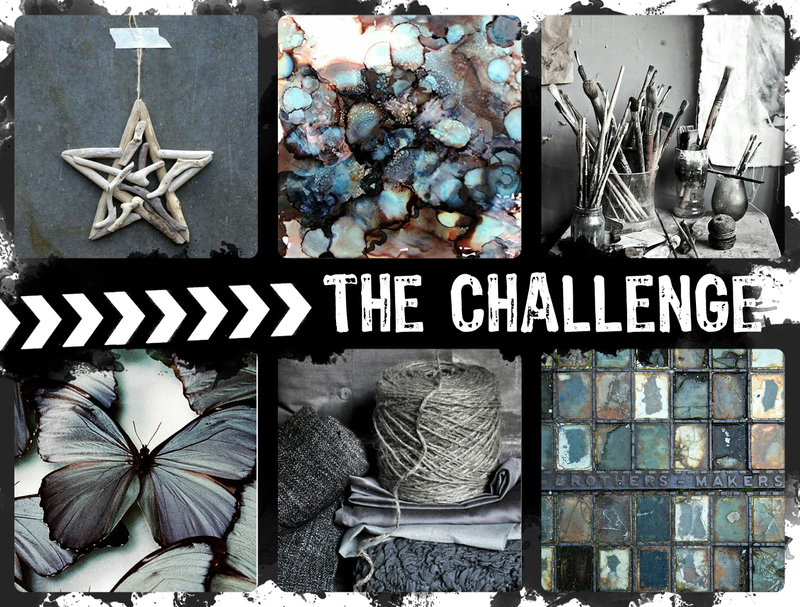 This challenge group is really growing now and I do enjoy the creations and inspiration from Deedee and Jenn. My first page uses inspiration from the mosaic/grid effect in the bottom left. 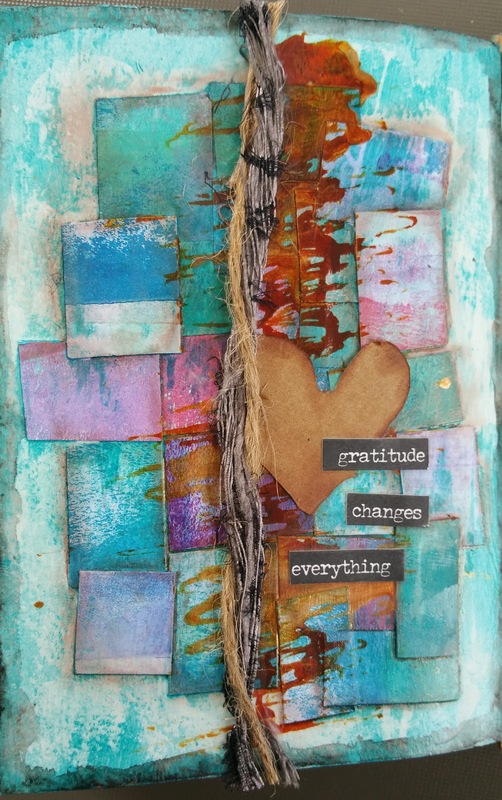 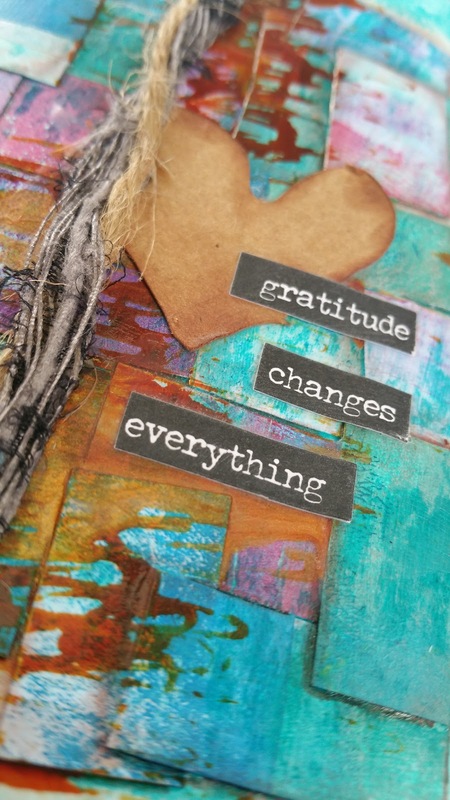 I cut up a brayer roll-off page from Gelli printing for the collaged pieces, with a turquoise glaze over the top. 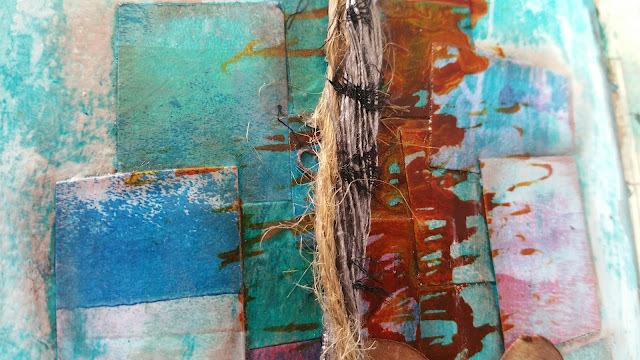 The heart is the inside from the heart in my other piece for this month.